René Magritte influenced certain important artists of the post-War period. We search for traces in the works of Jasper Johns, Vija Celmins and Ed Ruscha. 1954 was a year in which generations met. In a New York gallery the young artists Jasper Johns and Robert Rauschenberg saw an exhibition of word-image paintings by René Magritte. The famous painting “La Trahison des images (Ceci n’est pas une pipe)” (“The Treachery of Images [This is not a Pipe]”) from 1929 was also on display. Johns and Rauschenberg subsequently confirmed their interest in Magritte with purchases of his works. Magritte’s philosophical-conceptual approach to image and language influenced certain contemporary artists of the post-War period, and in Jasper Johns, Vija Celmins and Ed Ruscha it is easy to see how a generation of American artists looked to Magritte for inspiration. Jasper Johns, who was born in 1930, and René Magritte met in person in 1965 on the occasion of Magritte’s retrospective at New York’s MoMA. Both artists, writes art historian Roberta Bernstein, were depicting everyday things in an unexpected way, which prompts the observer to rethink the apparently self-evident. In his artistic work, Johns makes use of things that would normally be overlooked or would not merit any close observation. He is known, for example, for his paintings of digits, flags and targets, but also for his canvas works that incorporate real objects. 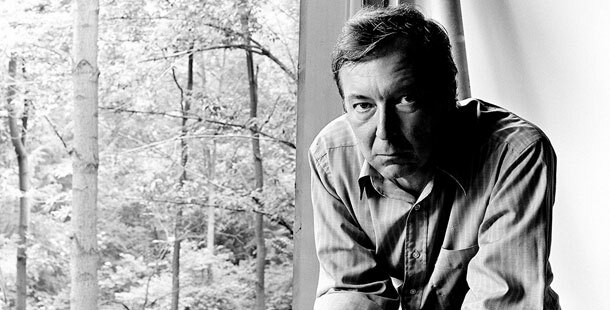 Jasper Johns is sometimes compared to René Magritte, but there are no obviously direct references to Magritte in his works. Neither has he really cited Magritte as a role model. Yet it is possible to view Johns’ pictorial studies on the relationship between seeing and thinking as a link between the two artists. In a way Johns even radicalizes Magritte’s approach. “You can’t smoke Magritte’s painted pipe, but you could throw a dart at a Johns target,” writes Leo Steinberg. Jasper Johns therefore blurs the dividing line between object and image. “Is it a flag, or is it a painting?” asked Max Imdahl in 1969 with regard to Johns’ images of flags. The relationship between image and language is a broad field in which Jasper Johns and René Magritte both operate. Magritte often incorporates text into his images to unsettle the observer. The sentence “Ceci n’est pas une pipe” (“This is not a pipe”) is the prime example of this. In a painting from his series “La Clef des songes” (“The Interpretation of Dreams”) from 1935, Magritte labels four objects with unrelated terms. Hence, under the depiction of a horse’s head, the observer reads “the door.” Jasper Johns, meanwhile, tends to label the objects in his paintings ‘correctly’ in order to substantiate their authenticity, as it were. The artist Vija Celmins was born in 1938 in Latvia, but lives in New York. She became known for her meticulous, objective and generally monochrome paintings and sketches. During the 1960s Celmins began working on small-format ‘portraits’ of everyday objects from her studio – such as a hotplate, a heater or a lamp. According to Sara Cochran, Celmins likes the stillness and the immobility of Magritte’s paintings, as well as the unsettling image motifs. She also appreciates his play on two- and three-dimensionality and his images of objects. Sometimes Vija Celmins makes direct reference to Magritte’s works. Inspired, amongst other things, by his painting “Les valeurs personnelles” (“Personal Values”) from 1952, which shows certain greatly enlarged utility objects in a room with cloud-patterned wallpaper, Celmins built an almost two-meter-high comb in 1970. The comb object “Untitled (Comb)” developed as part of an intensive, two-year production process alongside other oversized objects. Magritte’s juxtaposition of the real and the imaginary interests Celmins. “He had numerous ideas about the real and the imaginary, which he illustrated in a clever way. Magritte made it clear that things in paintings are not real.” Celmins’ graphite sketch “Untitled (Cloud with Wire)” from 1969 plays with the idea of the trompe l’oeil. We see a cloudy sky and a wire that appears to contrast with it. The wire casts a shadow – also sketched – against the sky. It points to its two-dimensional character; after all it is ‘only’ an image, an illusion. However, not all seemingly obvious artistic parallels stand up to more precise examination. Take the work of the artist Ed Ruscha, who was born in 1937 and lives in Culver City, southern California. The frequent, conceptual use of text in his paintings, the isolation and enlargement of individual motifs and the mood his images convey could mislead one into thinking that Ruscha was inspired by René Magritte’s works. Ed Ruscha is a kind of “Cowboy Magritte in Hollywood,” wrote one critic in 1971, suggesting that Ruscha’s creative work combines Pop with Surrealism.